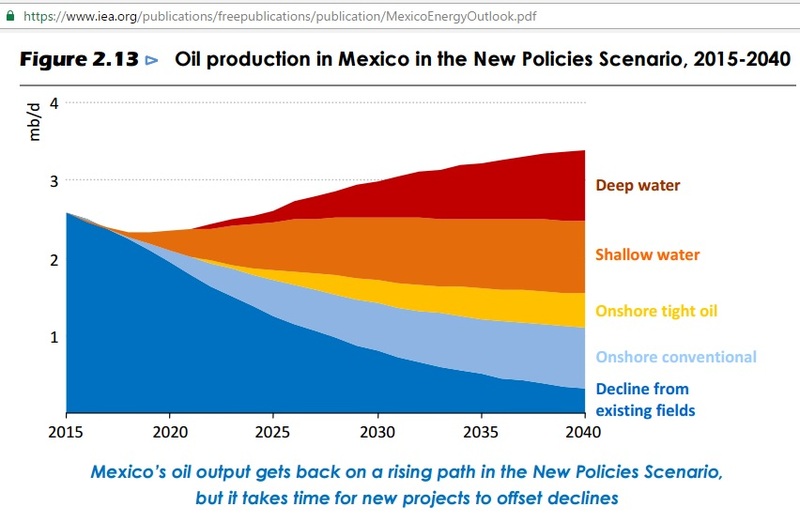 This Scenario is much more optimistic than the WEO 2014 (Fig 3.13 below). 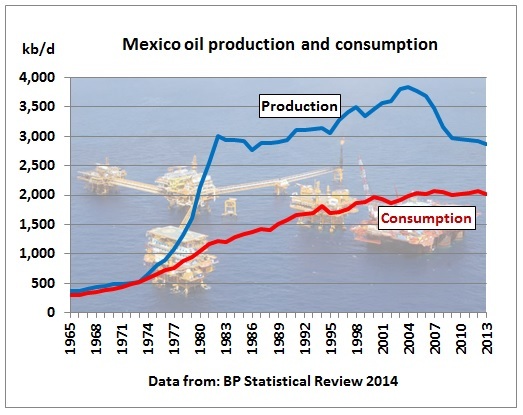 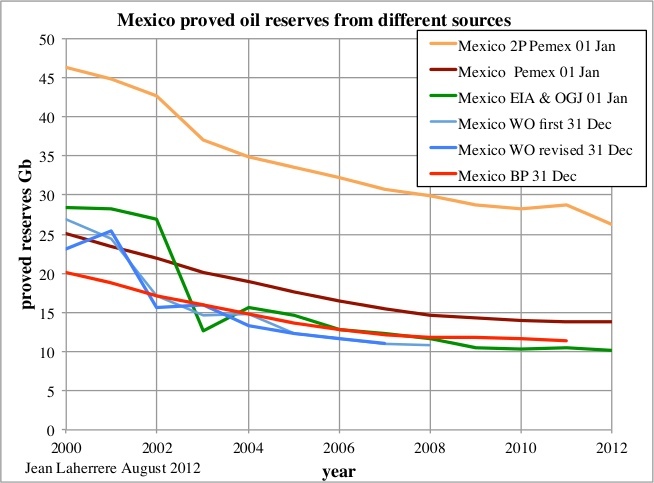 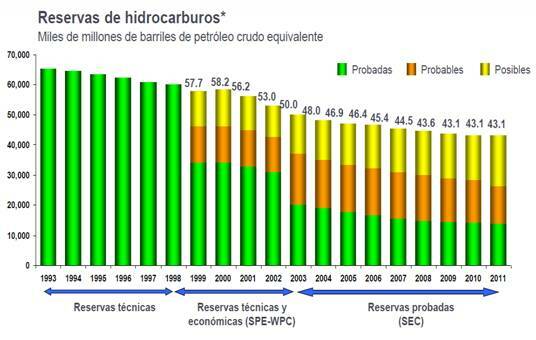 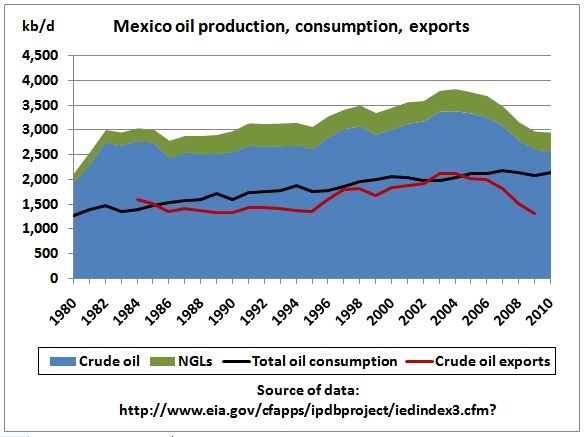 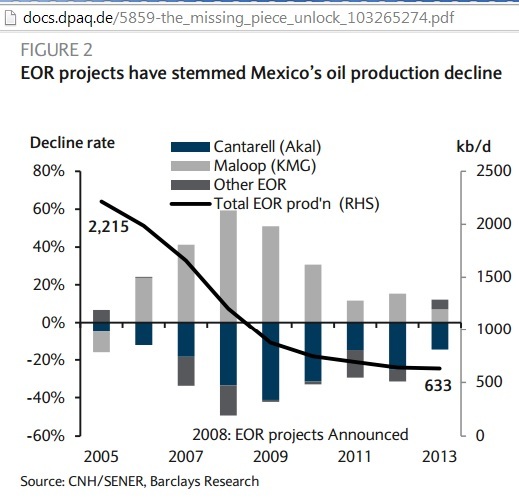 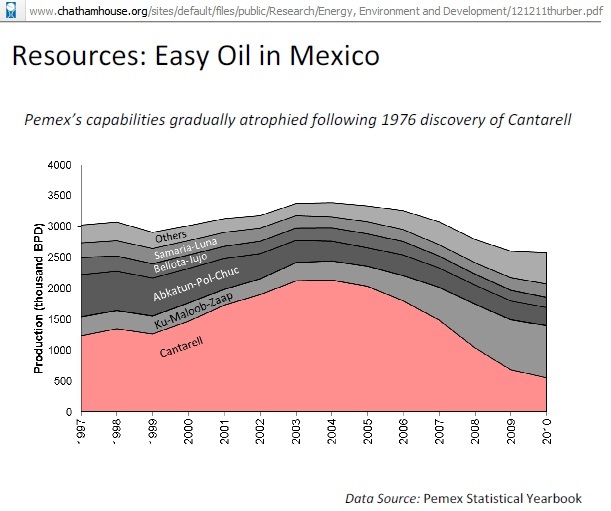 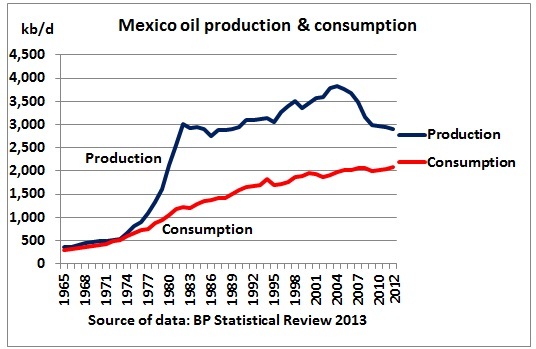 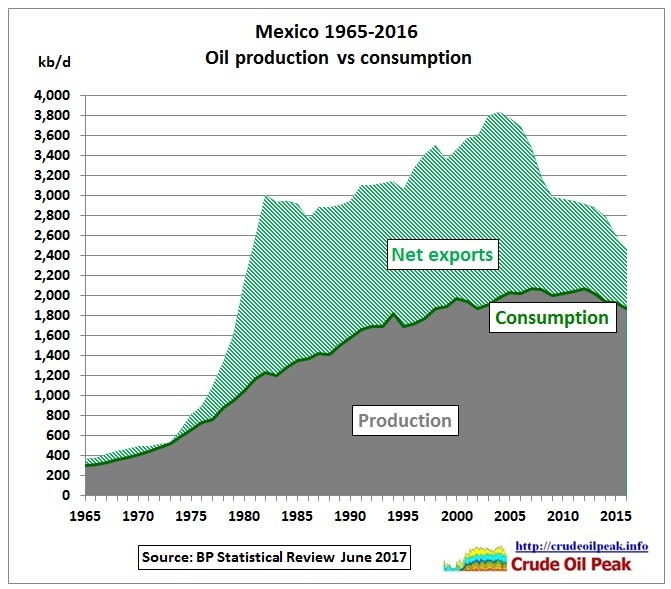 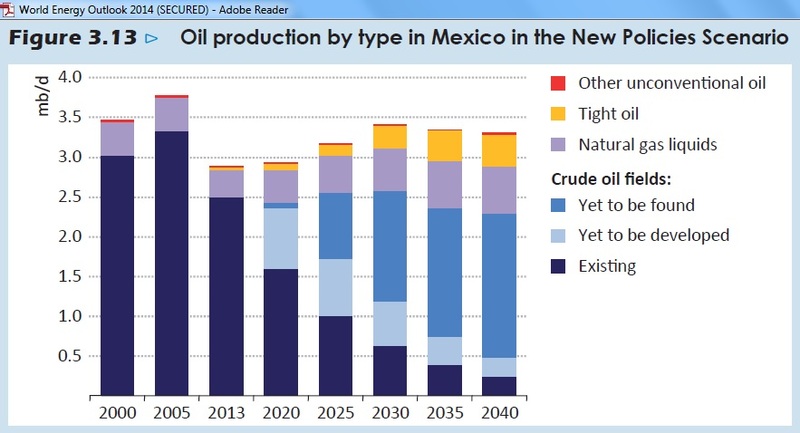 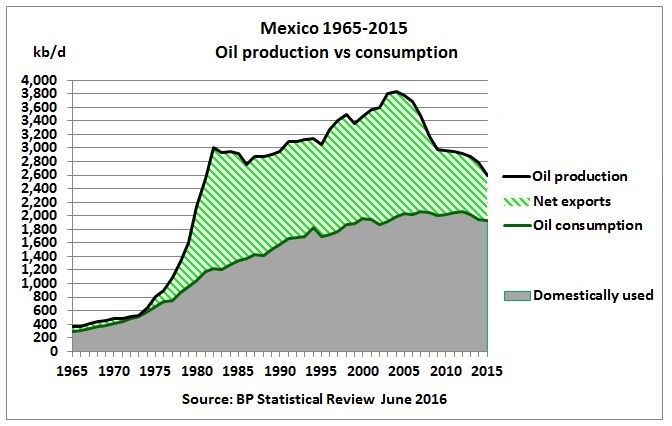 It assumes that Mexico’s oil industry reform is fully implemented. 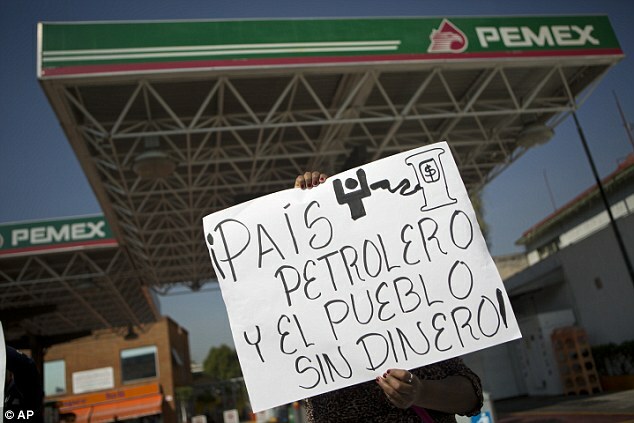 Leftist Candidate Could Threaten Pemex Reforms. 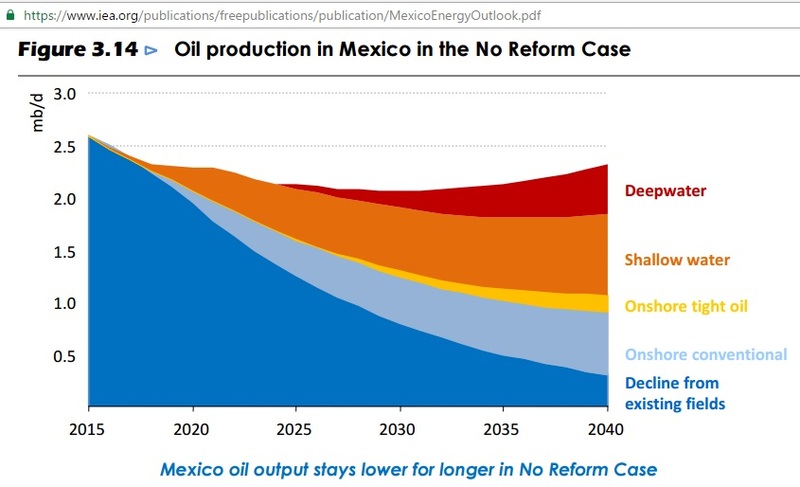 Both IEA scenarios are quite different from the Rystad graph shown below. 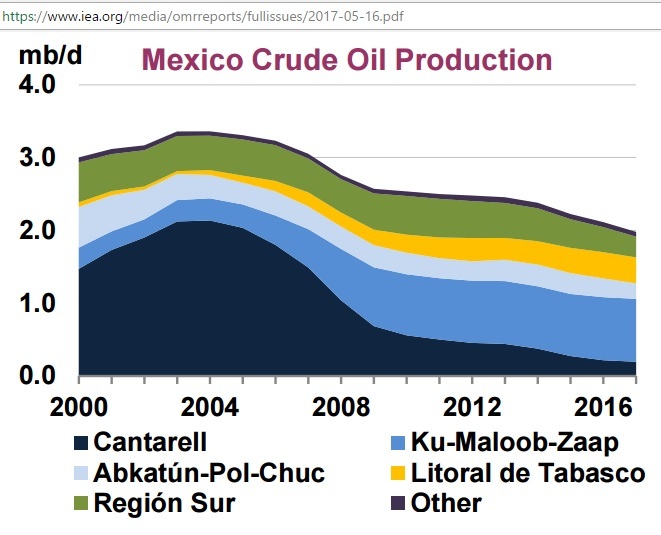 The only agreement is on decline in producing fields. 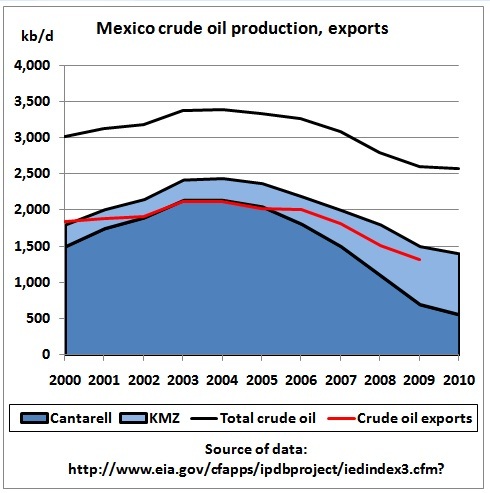 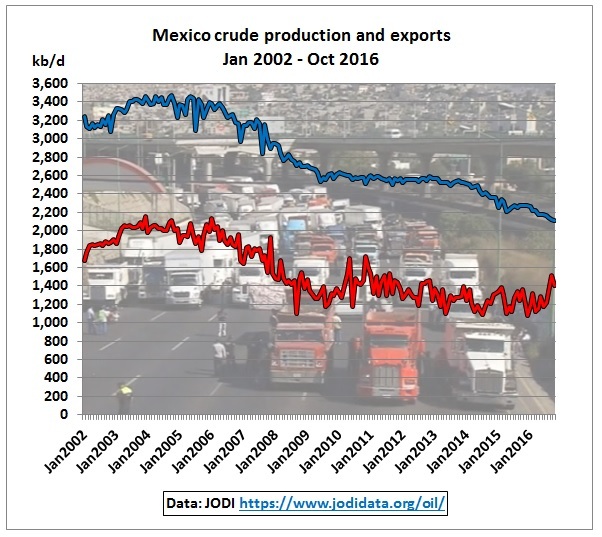 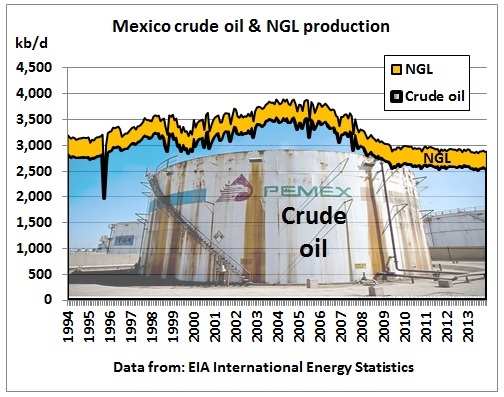 Figure 2 shows the discovered volumes for Mexico from 2005 to 2015. 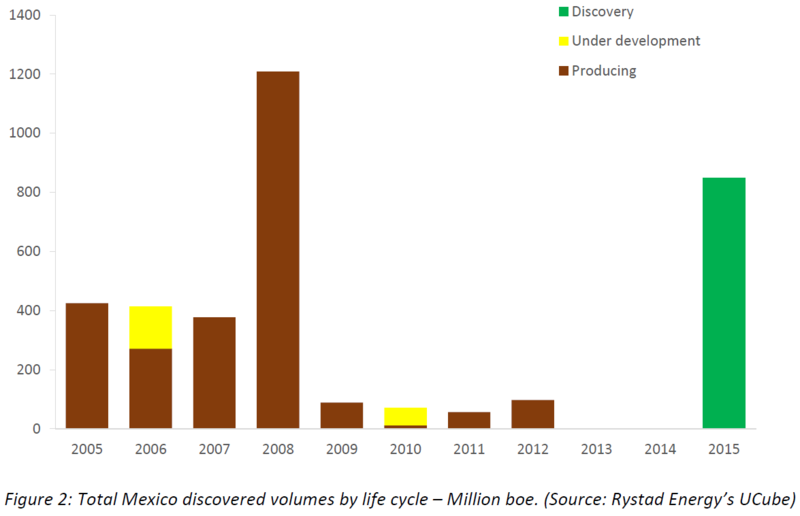 The year with the highest discovered volumes in the last decade was 2008. 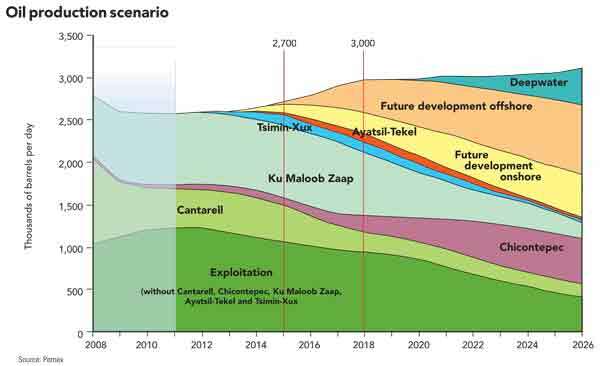 Two major discoveries, Ayatsil-Tekel and Tsimin (Litoral De Tabasco), make up around 60% of the 2008 discovered resources. 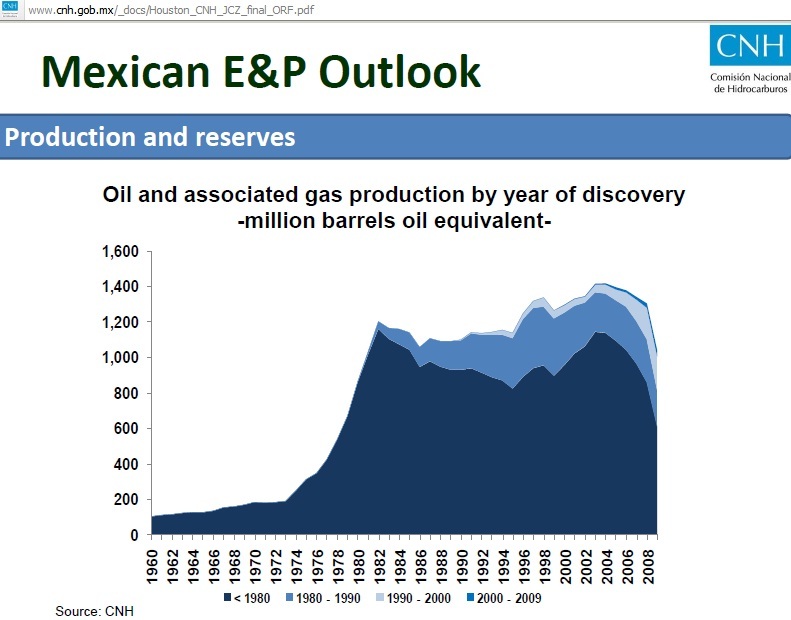 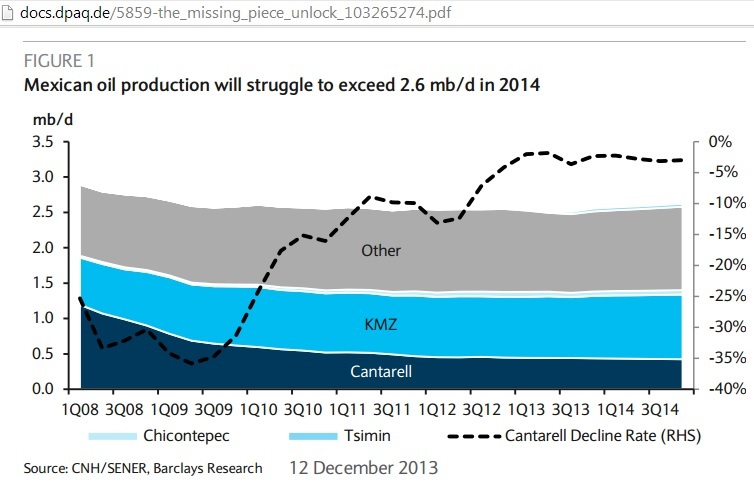 After three years of low exploration success, Pemex discovered the deep water Kunah, Trion and Puskon fields in 2012. 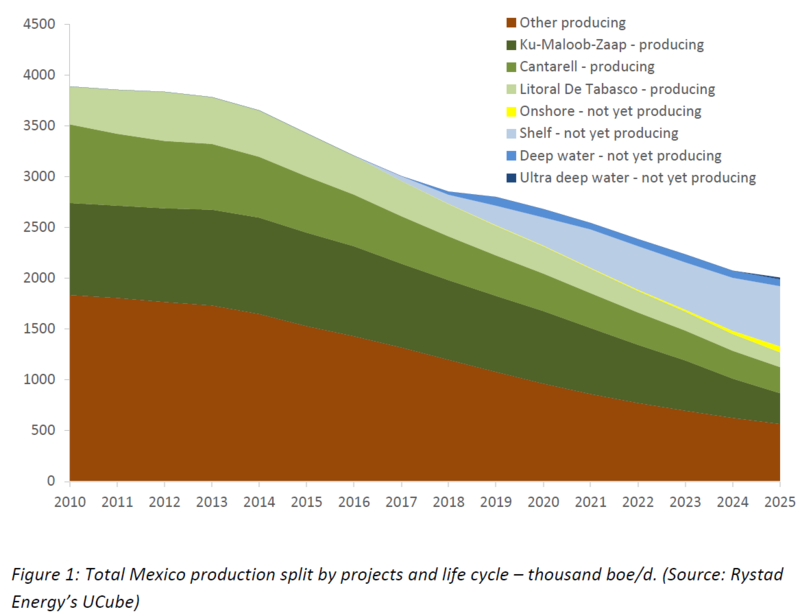 None of these discoveries, however, are expected to be put into production before 2025 and are not considered to be commercial at the current oil price forecast (and are not shown in Figure 2).